At CES 2018 Xenoma introduced a set of pyjamas that can monitors dementia patients . The ideas is patients in a hospital environment need not be confined to a room, but with the support of monitoring can be given more freedom. 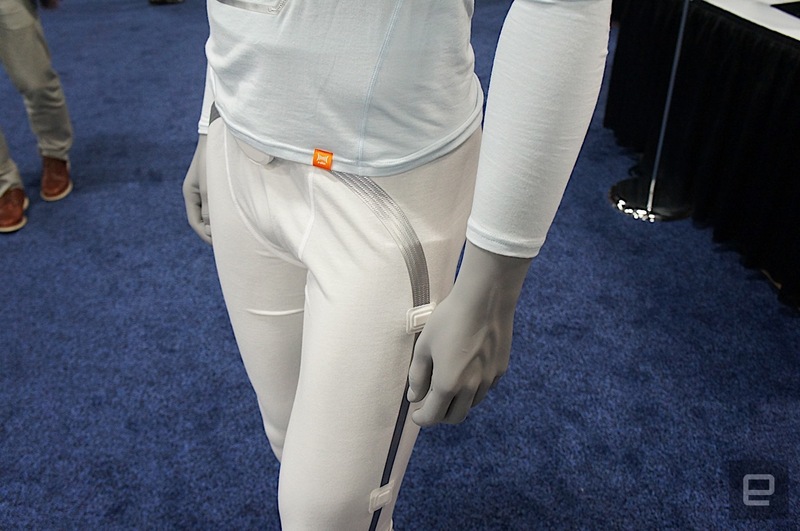 Motion sensors in the legs detect movement, while the top can monitor respiration and heart-rate. The electronics is powered by a battery contained in a disk housing attached to the chest, which also contains accelerators and gyros. 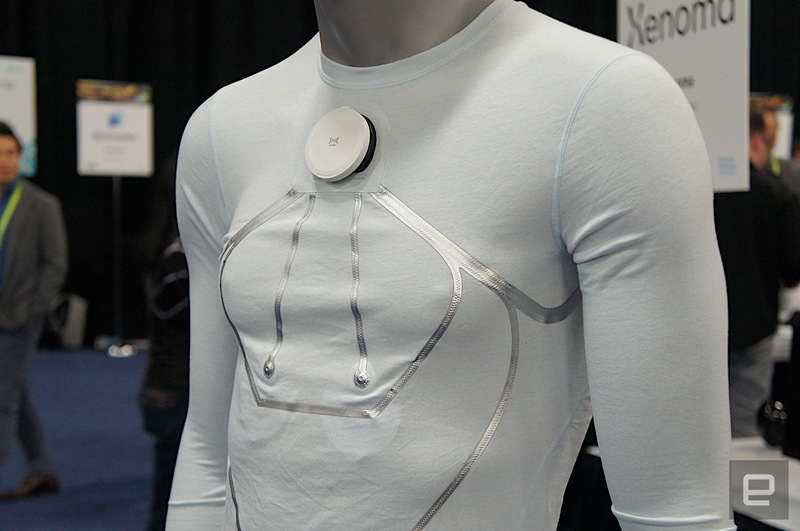 Xenoma are a Japanese company that have made other e-skin garments in the past using their stretch sensor technology.